On All New ,Used or Refurbished Phone Systems, Phones & Components. WE ARE NOW ON THE EAST AND WEST COAST!!!! 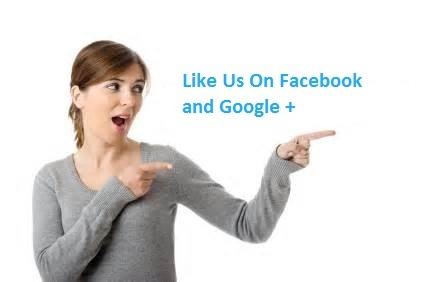 PROUDLY SERVING CUSTOMERS FOR OVER 21 YEARS!!!! THANK YOU!!!! 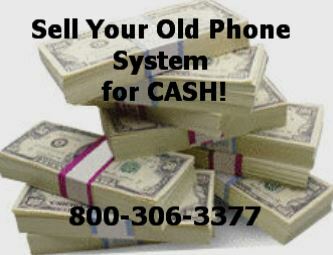 • Get cash for your old phone system equipment! • Save on your next business phone system! • Find Out about our Hosted Voice Solution. Learn about the savings & flexibility of VoIP phones/cloud PBX! Are you intimidated by all the new technology in Telecommunications? Need someone to hold your hand and get you the right phone system while saving you money? Let us show you a phone system provided through the internet instead of traditional phone lines! Call us today to determine which Digital , Hosted Cloud,Analog or IP business phone system component or phone will suit the needs of your growing business! Refubished Phone Systems are our Specialty. Call Today! • Let Craig Communications help you choose the most cost efficient refurbished phone system possible while still giving you the quality you would expect from our helpful business phone equipment staff. We are able to offer you either a refurbished or new business phone system, phones or just components for any IP, VoIP, Digital, Analog or Cloud business phone system application. We pride ourselves on our customer service and great phone system pricing. Our knowledgable sales associates have helped many businesses find the most affordable business telephone solutions for their office telecommunication needs. NEC, Vodavi, Cloud Phone systems, Comdial, Intertel, Mitel, Toshiba and More!!! If you need to upgrade your system, choose from a wide variety of Refurbished Phone Systems that we sell. • We are now located on the West Coast and East Coast!!. Online orders are shipped with standard ground shipping. For rush delivery please call us. One of our representatives will be glad to assist you with your small business phone system or Cloud Phone System questions. • Craig Communications offers a quality new and refurbished phone system and equipment, including VOIP phones to suit any business. Grow your business to the next level of success with piece of mind. Our quality refurbished Norstar business phone systems or Meridian business phone system components and phones come with a One Year Warranty. Whether you are putting in your first phone system, or replacing your existing phone system equipment, Craig Communications offers a wide variety of Analog Phones, Digital Phones and VOIP phones. • "As a first time buyer from Craig Communications, I just wanted you to know how very impressed I am with your professionalism and the quality of your phone systems. The equipment was shipped out super fast and the phones are the best looking refurbished equipment I have ever seen! We will be doing more business with you. Thank you!!!" !"